The Hilma af Klint exhibition curated by Tracey Bashkoff, just opening at the Guggenheim is an almost perfect marriage of subject and space. Like Frank Lloyd Wright, and a number of other artists working at the time, af Klint was absorbed with spirals and circles. These forms had migrated from spiritual practices, specifically Theosophy, Rosicruianism, and Utopianism, and influenced the practices of Kandinsky, Kupka, Malevich, and other artists and architects who were seeking to find some kind of artistic compatibility with the universe and scientific discoveries. Color theory became connected to mood and a number of new ideas relating to psychiatric states of being. Symbols and words were incorporated. 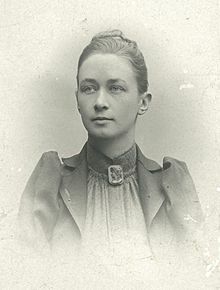 Like other adherents, Klint, who had already been a member of a Swedish women artists group, began to hold séances with four other like-minded women. After ten years, at one of the séances, she felt herself ‘instructed’ by one of the ‘High Ones” to create a cycle of paintings. (I would have liked to have been at this one). Af Klint felt herself to be a receptacle, similar to the adherents of surrealism and Breton’s automatic writing. Out of this impulse, arose The Paintings for the Temple, 193 works begun in 1906 , many on view at the museum. These works, some quite large, are lush abstractions that build on the geometries of the spiritual but are not in any way circumscribed by that impulse. The colors pop, but also soothe, and a rare harmony is achieved. They were never installed in any temple, but now they are installed in Wright’s temple. And it is heavenly. Smaller works, later watercolors, display similar forays into geometric and biomorphic work, but then you will see hints of Josef Albers, Georgia O’Keefe and Victor Hugo. Af Klint often worked in series, variations on a theme. This adds to the didactic quality but surprisingly, that does not get in the way of delight. It is going to be a social media extravaganza. Contemporary artists and audiences will thrill to these lesser-known works. (There is a roundtable on her, and her work on Friday open to the public) Apparently, wounded in love at an early age, she decided never to marry. Af Klint’s will stipulated that the work not be shown for 20 years because it had been misunderstood by Rudolf Steiner, one of her philosophical idols, and he counseled her that she might get a similar reaction among her contemporaries. She was part of a 1986 exhibition at LACMA where I first saw her work, and much more recently a retrospective in Sweden but her foundation still is the principal proprietor. This exhibition marks the first dedicated solely to her in the US, .